What makes Abed the most obvious INTP, and possibly the only one on the show, is the fact that INTPs do not concern themselves with day-to-day activities. The only reason Abed ever opens up as much as he does is because the group accepted him as he was and allowed him to become comfortable inside that study room. 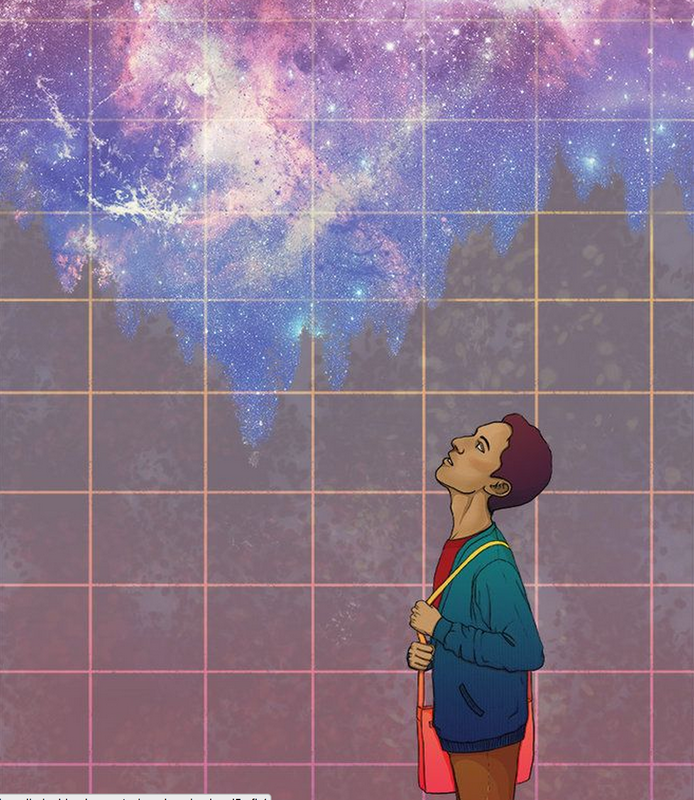 Once they opened up their hearts and minds for Abed, there was no longer a threshold for how much energy Abed would expend on solving problems no one else in the group could. INTPs are the best for digging deep into a problem and finding several possible remedies for that problem. Not only do they find several solutions, they investigate each of those options. This is different from someone like Jeff who would, most likely, be able to spot the problem and offer solutions, but he would want someone else to take over from there. 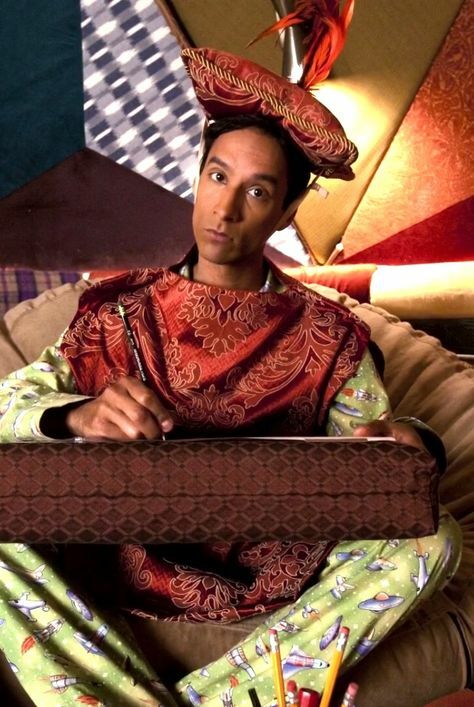 I keep coming back to the “Remedial Chaos Theory” episode for discussing the NTs, but Abed is the one who offers the multiple timelines theory to the group. 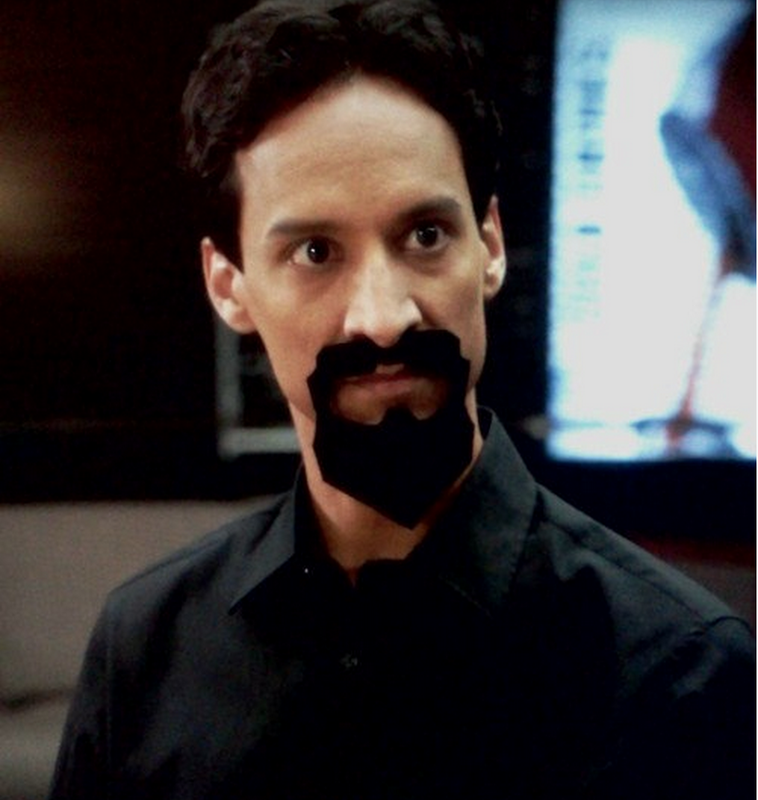 While they are annoyed, for lack of a better word, when Abed continues to bring up the multiple timelines in later episodes, it makes sense that he became consumed with the theory. Sticking with season 3, Abed is the one who realizes the Dean is not himself and has, in fact, been replaced by an imposter. People who don’t know Abed, and even members of the study groups, consider Abed to be in his own mindset, or day dreaming, at all times. This is typical of INTPs and it is typical of Abed throughout the entire show. Never look to an INTP for emotional support, partly due to this. Most INTPs do not understand emotional problems, so they make terrible drinking buddies if you’re the depressed kind of drinker. But, trust that an INTP will always be open-minded and objective when it comes to whatever you are confiding in them…regardless of whether or not they care about what you are saying. INTPs will also usually hate rules. You will notice throughout the show that Abed does not like being told what to do or the rules society places on many people concerning how they should act – public or private. 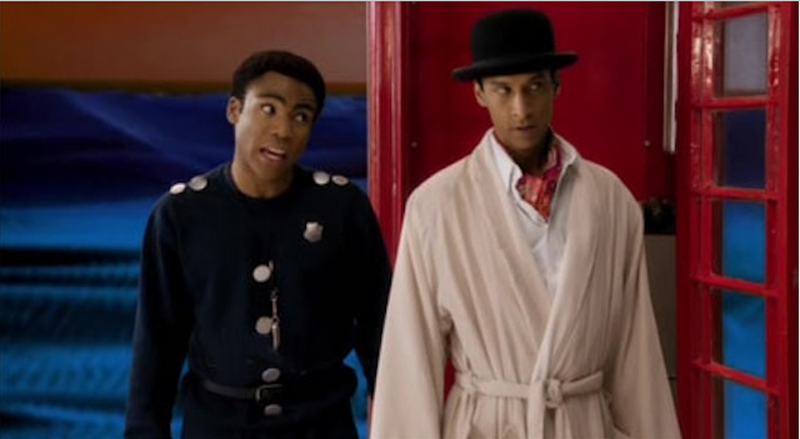 Season 3, Troy is afraid to tell Abed that he cannot continue to hire celebrity impersonators. WHY? Troy is afraid of losing Abed as a best friend because he knows Abed hates being told what he can or cannot do. Season 5, Professor Buzz Hickey handcuffs Abed to a filing cabinet and forces him to miss the Kick Puncher premier. Abed becomes frustrated because Hickey wants him to learn a lesson. How does Abed reply? Bringing the last two points together, how about the rules of love? INTPs are open to love and can make for excellent partners. 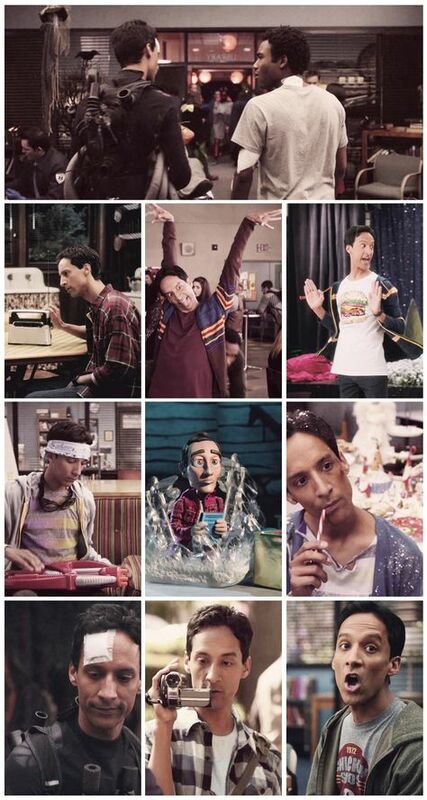 Abed as a character never seems interested in love. Obviously, the writers never saw fit to give Abed these feelings, but once they did, they did it right. Rachel was perfect for Abed. She may not be on the same intellectual level as Abed, but they have enough in common that Abed can remain interested in her for long periods of time. That is all INTPs need at the beginning stages of a relationship. In fact, Abed becomes so interested that he wants Rachel to move in with him. Unfortunately, the fates– dressed as obscure early 90’s VCR games– must decide and they say NO! (SIDE NOTE: I find it interesting that the writers have kept Abed’s relationship as private as Abed would in real life). In business, INTPs do well as long as they are placed in the correct position. Place them at a desk and give them excel spreadsheets to analyze and they go crazy. If you’re saying “Anyone could…” You are right, but not to the extent that INTPs would, who might lose their minds in excitement of what could be done. INTPs do not fit in well in corporate environments. They lead solitary lifestyles and this includes work. They need to be independent, so mundane tasks do not suit them. INTPs thrive in an environment that fosters to their creativity. Allow their creative mind to thrive and your business will succeed. 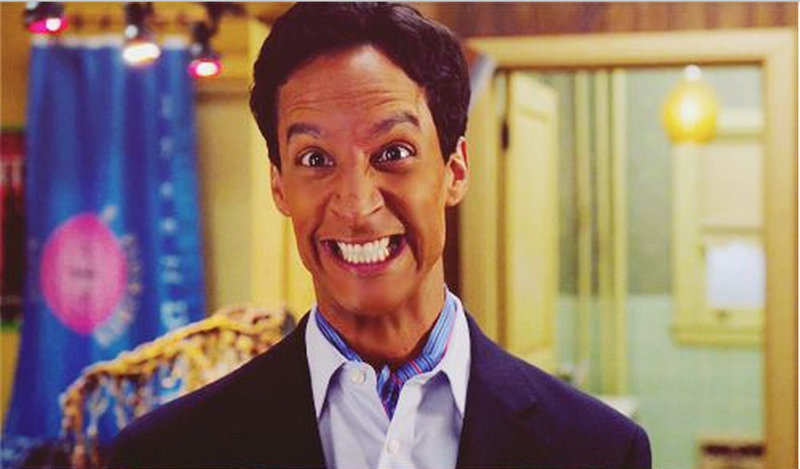 After all is said and done, Abed can be a great friend and loveable character. When first introduced to this INTP, many will think of him as a robot. But, allow them to be themselves and they will open up to you in ways that will surprise you. This entry was posted on 04/23/2015 at 12:11 am and is filed under MBTI Rationals, MBTI Stuff with tags Abed, Community, intp, mbti in fiction. You can follow any responses to this entry through the RSS 2.0 feed. You can leave a response, or trackback from your own site.